MC: Hi I am Mark Croonen, another 40's something guy who is still cycling and enjoying too much to give it away. When I'm not on the bike I work for the government doing strategic IT stuff, which is exciting stuff but you can probably understand why I ride, I need some excitement in my life. 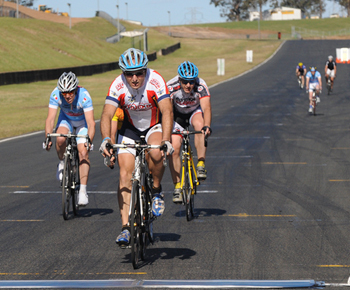 MC: I ride for the Australian Defence Cycling Club and Bike Pure. MC: I've always been best at endurance so Road Racing and Time Trials have always been my preference. I like the tactical challenge of road racing whereas the time trial can't be beat for that ultimate mental challenge of pushing yourself to your limits. As they say time trials are the test of truth, just you and your bike and no place to hide like the peloton to get you through the race. MC: On and off since the since the late eighties I started off as a pro cyclist but now I just compete for the love of the sport. 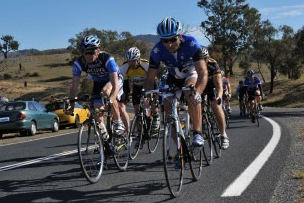 My biggest race (literally) was a team event from Perth to Melbourne in Australia (~4500kms). It was a nonstop 24 hour event across Australia over five days in the days before bike lights with 900 lumens, so riding at night was quite a challenge. Other than that last year's World Masters Games in Sydney was a great event and I'm looking forward to Turin, Italy in 2013 for the next one. MC: I remember it quite clearly, trying to get to work one day and my car broke down, given I worked close to the city a grabbed an old ten speed bike that was lying around and from that day I was hooked. This was quickly followed by a succession of new bikes and a rapid depletion of my bank account. These days I do more k's on the bike than in a car. PL: Isn't that always the way with bikes. Always with the depleted bank account. Heh. What kind of riding do you do for fun? MC: I have been known to dabble in that black art known as mountain bike riding, but try I try to keep it to a minimum as every time I do it I seem to leave a piece of myself on the track. Probably my greatest joy is getting my son interested in the sport and riding with him, he's not racing yet but give him time. PL: What bikes do you ride? MC: I have three bikes in my stable, which is never enough for a roadie. My road bike is a Giant TCR advanced which I also use for time trials at the moment with the aid of some rather nice Pro-lite Vicenza wheels. A mountain bike which is another Giant and a 1988 Concorde custom frame which was built for the PDM team and in used the 1988 Tour de France. Currently working on bike number 4 which will be a time trial bike, still undecided about the frame but at this stage the Pro-lite Espresso frame is looking good, looks like a good stiff frame and has had some good reviews. PL: How do you find the Pro-Lite gear? MC: Firstly the wheels are fast and you get that great rumbling sound that you only get from Carbon wheels. But if you want an indication of the quality, what amazed me about the Pro-lite wheels are the bearings. Every time I hang the bike up with the wheels on the valve stems drop to the bottom, when a 5 gram valve causes the wheel to rotate that is a nicely balanced wheel with good bearings. I've had plenty of other name brand wheels that don't do that. PL: That's brilliant. I love it when stuff runs smooth. MC: What impresses me about Pro-lite is the value for money without losing out on quality. Last year at the World Masters Games I came 7th in the Individual Time Trial on nothing more than a stock standard road bike and the Pro-lite wheels, all up it is a ~AU$5,000 rig. The guy who came in 6th beat me by 7 seconds on an $18,000 rig Euro bike. While I do like to win at all costs I do have my limits. 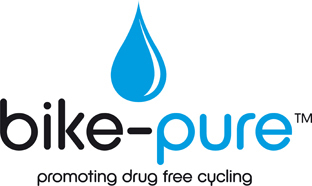 MC: For everyone out there who loves cycling I would urge you to get behind the guys at Bike Pure www.bikepure.org. Bike Pure is committed to redirecting trust to Professional cycle sport. 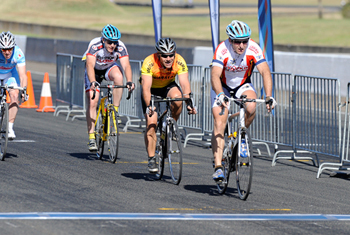 Bike Pure is an umbrella group for all concerned parties in cyclesport. A medium to let the fans, riders, teams and cycle trade join together in a united stance for a new era of clean cycling.